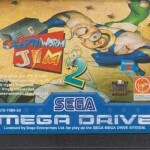 Earthworm Jim 2 doesn’t seem to have a solid answer to that question. What it tries to do is give you more of everything. More weapons, more abilities, more enemies, more gimmicks, more humour, more strangeness. While this certainly sounds good on paper, what it ends up doing is ruining the focus of this game, to the point that it doesn’t really know what it wants to be. There’s still a general focus on running and jumping and shooting things and while this sort of action is prevalent throughout, your focus is often drawn away from that stuff in favour of some light puzzle elements. Bring some pigs to a platform in order to unplug the path forward. Bring some cows to a milking shed to open the next door. Shoot the soil to create pathways through the dirt and collect time bonuses to extend your playtime in the stage. 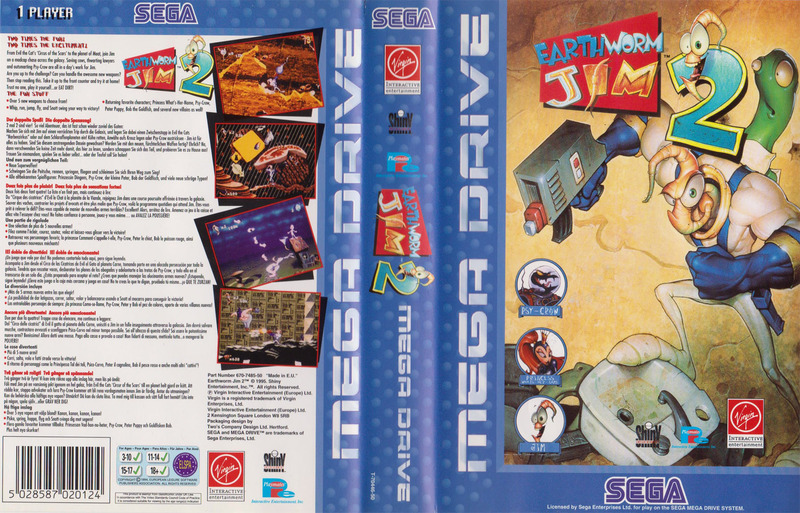 These are certainly creative ways to mix things up, but overall it detracts from what Earthworm Jim does best; running, jumping and shooting. Then we get the gimmick stages. 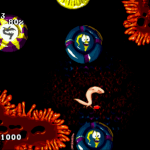 These range from flying through intestines as a blind cave salamander and shooting inflated sheep, bouncing a bomb across an isometric flying stage to destroy Major Mucus and floating yourself up through a dangerous gauntlet of lightbulbs using your inflated head. Again, it all sounds very daft and funny on paper but in practice it’s a bit of a mixed bag. The biggest offender in this regard is the 3 part Puppy Love stage. In this section you have to bounce Peter Puppy’s puppies across the stage into a safe house. Psycrow is throwing them out the windows of a building on the left and you have to bounce them safely over to the right. The action is very similar to the classic Game & Watch title Fire which means it’s also as repetitive and uninteresting as the classic Game & Watch title Fire. You’re essentially waiting for Psycrow to throw a bomb out so that can be sent to Peter who in turn throws it back at Psycrow to beat the round. Each stage contains 4 rounds of this drawn out distraction and you have to play the stage 3 times throughout the entire game. It’s a real chore. 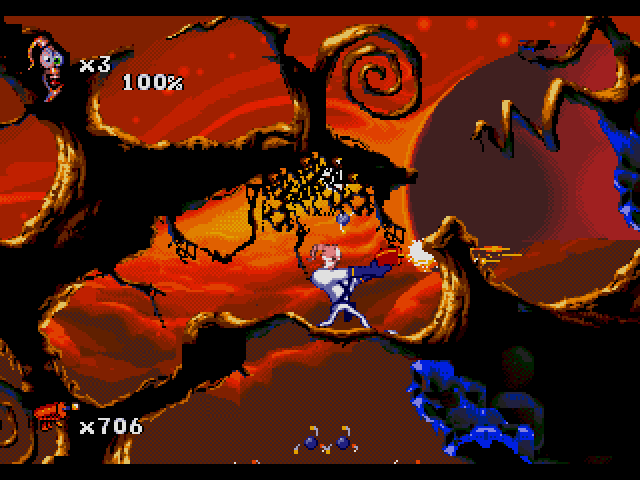 Despite the lack of focus, Earthworm Jim 2 is not a bad game by any means. It’s actually a very good one and while it often mixes up the gameplay, it’s always well executed and rewarding for the most part. It’s also a stunning looking game with beautifully fluid animation, lovely spot effects like the shadows in The Villi People stage and the 3D effect in Puppy Love and it’s all punctuated with humorous sound effects, high quality voice samples and another fantastic soundtrack by Tommy Tallarico. 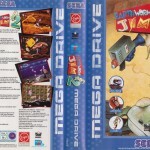 There is certainly a lot more going on in Earthworm Jim 2 (for better or worse) and fans of the original game will find a lot to love here. Even when the game loses focus, it’s always a brilliantly executed and enjoyable thing to play. 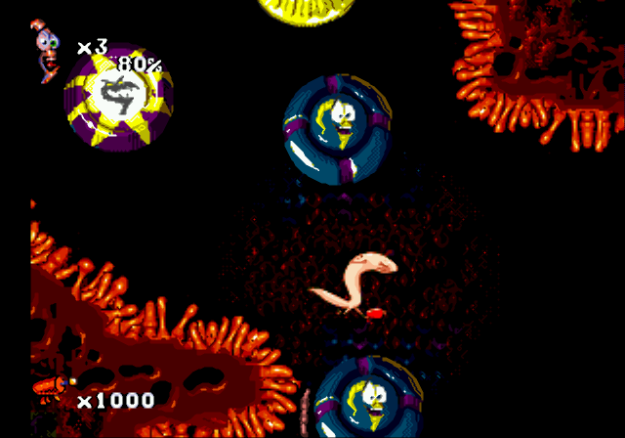 However, the final stage almost spoils the entire experience. See Jim Run, Run Jim Run is not a stage that tests everything you’ve learned up until this point and as a finale it’s both underwhelming and extremely frustrating. 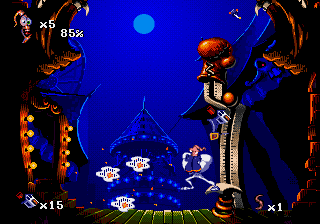 This stage is another gimmick stage and while you do it with traditional run ‘n’ gun Earthworm Jim controls, the focus is on racing Psycrow through the stage and not getting blocked or slowed down by the various obstacles. 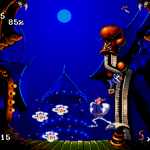 The whole stage is incredibly unfair and impossible to beat on your first attempt. This stage becomes a memory game as you try to remember which soul-destroying obstacle is coming next and what makes matters even worse is the stage is littered with pits which lead to instant death. It’s one of the most ill-advised endings to an otherwise great game I’ve ever seen. 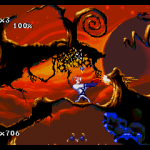 Regardless, this stage is a small blight on an otherwise great game. 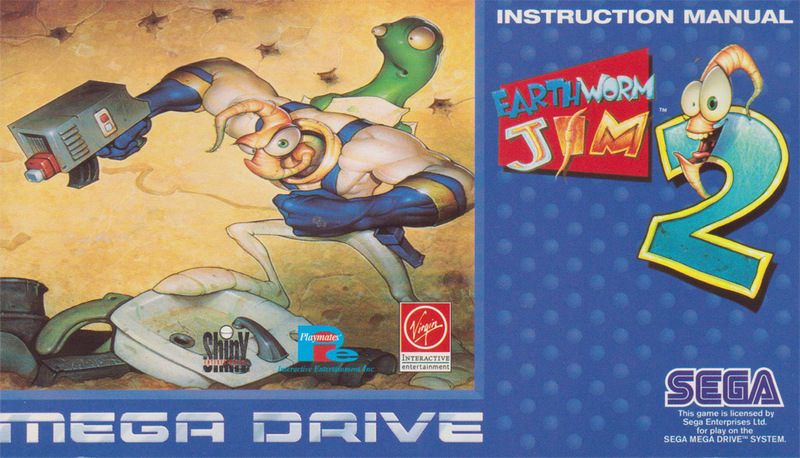 Sure, Earthworm Jim 2 is not the definitive Earthworm Jim game and while it certainly does more than its predecessor, it loses its focus as a result. 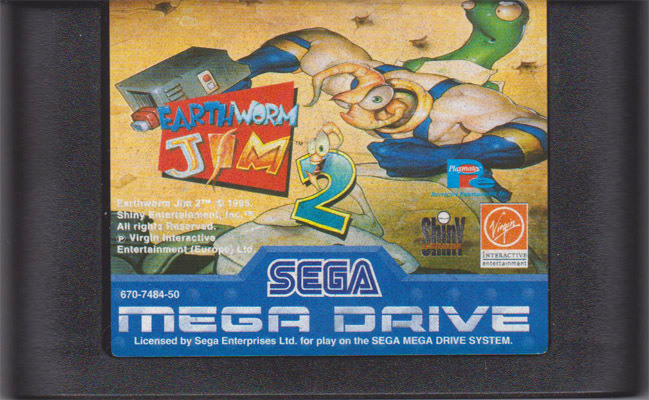 However, if you’re a fan of the first game then you’ll certainly find a lot of things to love about Earthworm Jim 2. It’s an admirable and highly polished follow up that’s just as fun and stupid as the first and there’s definitely more positives in its make-up then there are negatives.